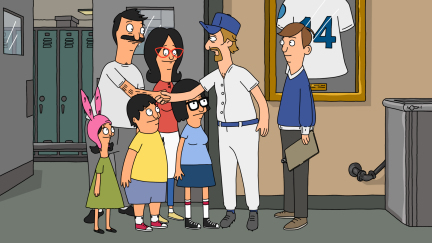 BOB'S BURGERS: Torpedo Jones (guest voice Robert Ben Garant), befriends Bob and the family, but the dark underbelly of minor league baseball threatens to corrupt the Belchers in the "Torpedo" season finale episode of BOB'S BURGERS airing Sunday, May 22 (8:30-9:00 PM ET/PT) on FOX. BOB'S BURGERS ª and © 2011 TTCFFC ALL RIGHTS RESERVED. This page was last edited on 1 September 2012, at 02:26.